Gunmen killed three people and wounded one overnight near the University of Maryland, Baltimore, police said on Wednesday (Thursday NZ Time), the latest killings in a city that has seen an upturn in homicides following the death of Freddie Gray in April. Two gunmen emerged from two vans and began shooting just before 11pm on Tuesday (Wednesday NZT), campus police said in a statement. 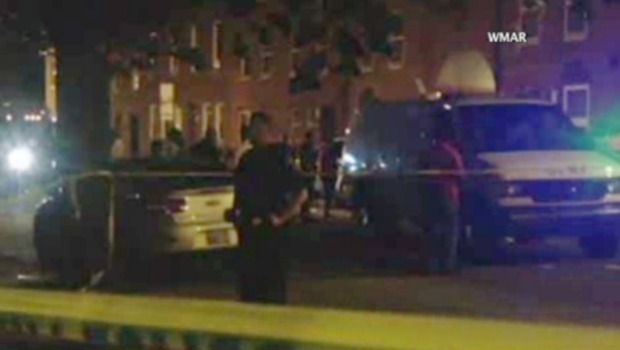 A man died at the scene, Baltimore police said, and a man and a woman died while receiving medical treatment. The fourth victim, a woman, was hospitalised. “Three to four suspects are believed to be involved at this time. This was not a random act of violence but was a targeted incident,” police said in a statement. The shooting was not related to the university, the statement said. The Baltimore Sun reported that shots had been fired into a vehicle travelling on the same block five days ago. The shootings came as Baltimore is grappling with an upsurge in killings following the death of Gray, a 25-year-old black man, from an injury suffered in police custody. His death triggered protests and a day of rioting and arson. Police said looting of pharmacies during the unrest and a subsequent drug turf war was behind a surge in killings in May. Police had originally recorded 43 homicides in May, the highest number since 1972, but dropped the total to 42 when one killing was reclassified as justified. A police spokeswoman on Wednesday put the May homicide number at 41, the highest monthly tally since August 1990, without explaining the new total. Baltimore, a largely black city of about 620,000 people, has notched 155 homicides this year, compared with 105 for the same period last year, the spokeswoman said. Police said on Tuesday the Police Executive Research Forum, a non-profit policy group, would evaluate the department’s performance during the April unrest.